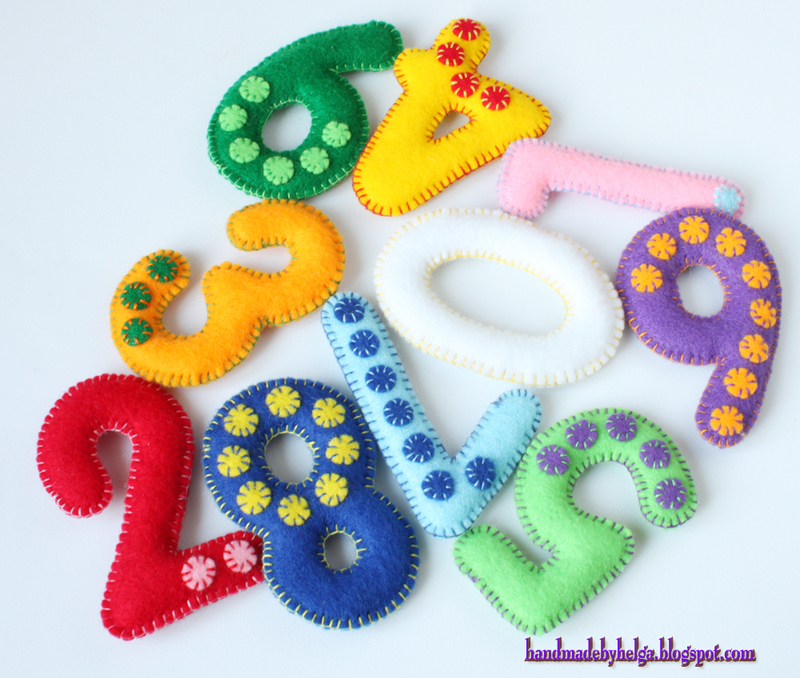 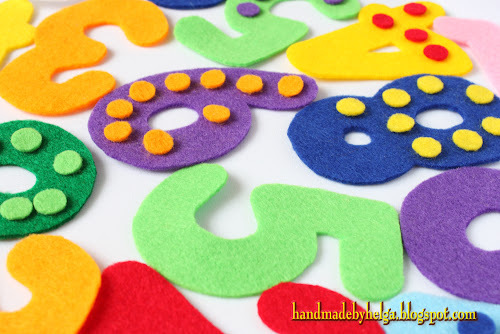 I sewed a set of 10 colorful numbers 0-9. 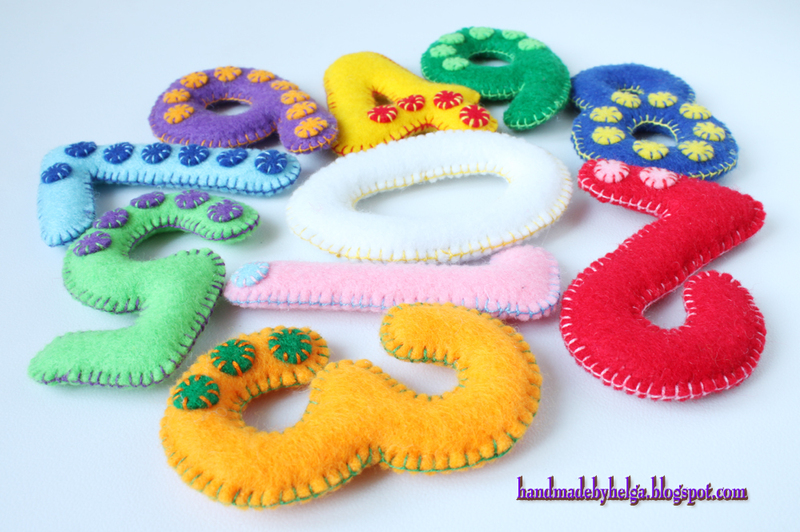 They measure about 3.1" (8cm) high each. 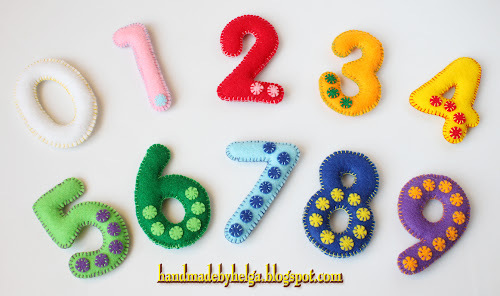 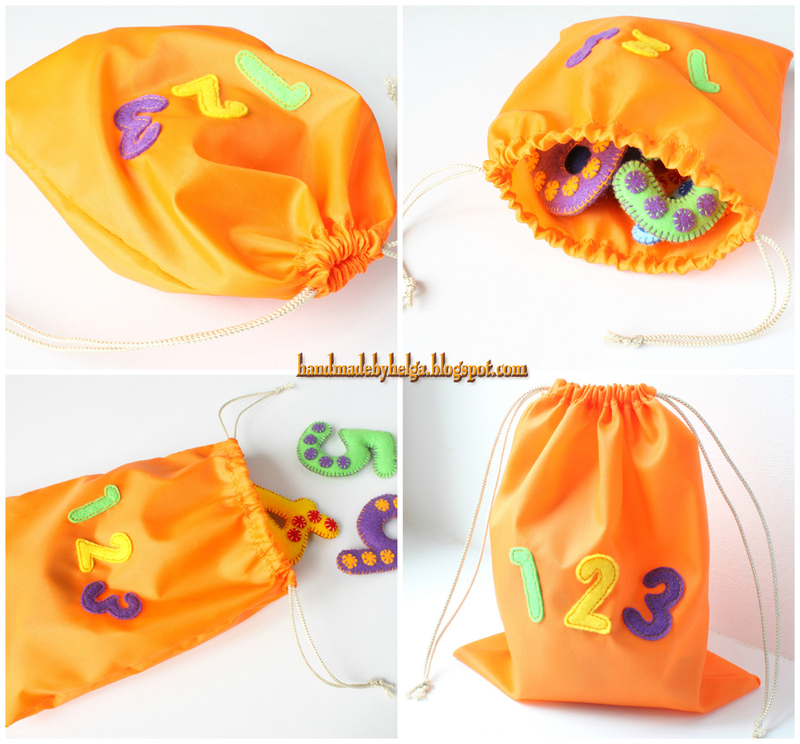 This numbers are great idea to teach your child how to count. The numbers are 100% handmade and pleasant to touch.